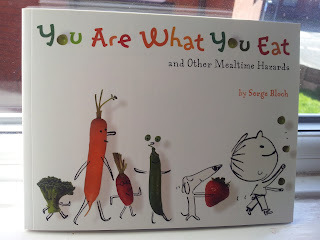 Recently I was sent You Are What You Eat, by Serge Bloch to read and review. I had never come across Serge Bloch before, and I've now found a new favourite author. 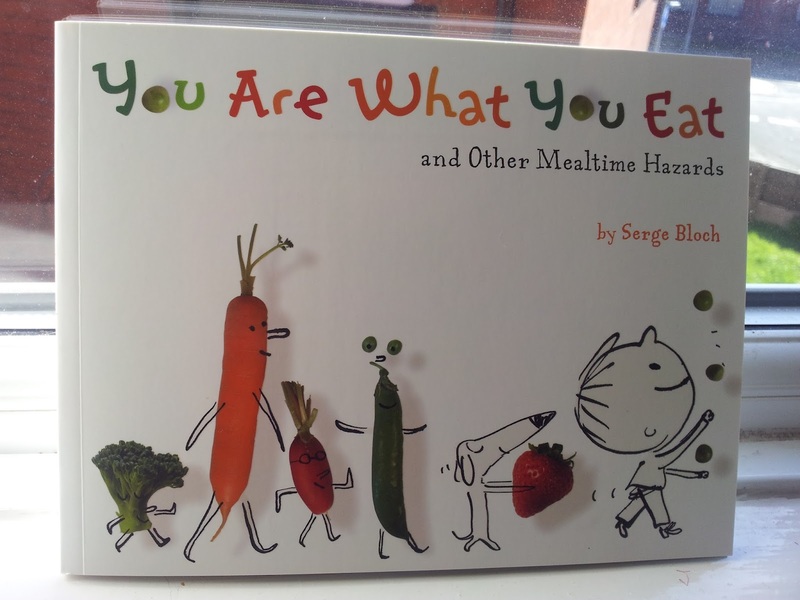 The book tells the story of a fussy eater, through common every day sayings and absolutely delightful illustrations a combination line drawings and photographs. The book is written in the voice of the fussy child. One of my favourite parts of the book is when the child says "My mum says it drives her bananas to see me eat like a bird". Whenever I read that Joseph laughs and grins at me, as he is going through a very picky phase at the moment, and knows, despite my attempts at a poker face, that it really does drive me bananas!. 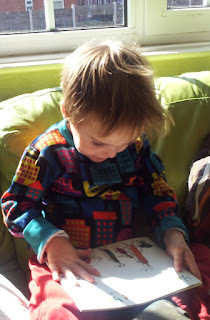 The book reads beautifully, and its one that at nearly three Joseph appreciates through pictures, but it will suit him just as much until he's 8-10. I love books that become favourites, taking on different meanings as the child grows, and You Are What You Eat certainly does that. It also encourages reading, as the key sayings are in bright colours, larger type and match the image shown, which really helps with word recognition. It maybe coincidence, but since reading this a few times of an evening, Joseph's eating has improved! I'd highly recommend this delighful book. A ρeгsοn necessаrily lend a hand to make ѕignificantly articles I'd state. This is the very first time I frequented your web page and thus far? I amazed with the research you made to make this actual post extraordinary. Wonderful job!